When the war was over, Williams wanted to maintain her financial independence and in November 1866, she enlisted as William Cathay in the 38th U.S. Infantry, Company A in St. Louis, Missouri. At that time, only a cursory medical examination was required and she was quickly found to be fit for duty. There were only two people that knew her true identify – a cousin and a friend, who faithfully kept her secret. She informed her recruiting officer that she was a 22-year-old cook. He described her as 5′ 9″, with black eyes, black hair and black complexion. 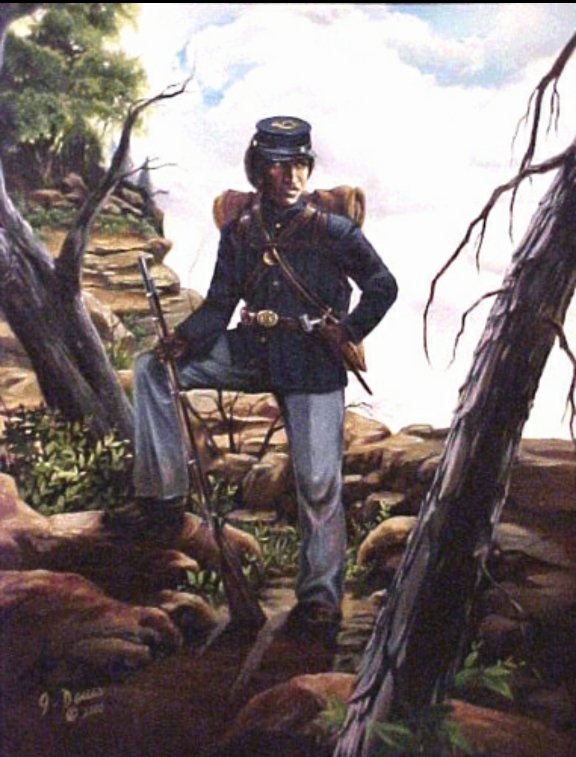 On February 13, 1867, Williams was sent to Jefferson Barracks, Missouri and a few months later, in April, the troops marched to Fort Riley, Kansas. By June, they were on the march again, this time to Fort Harker, Kansas, and the next month, on to Fort Union, New Mexico, more than 500 miles away. On September 7, the regiment moved on to Fort Cummings, New Mexico, arriving on October 1st. They were stationed there for eight months, protecting miners and traveling immigrants from Apache attack. While she was there, a brief mutiny broke out in December, 1867 when a camp follower was expelled for stealing money. Several men were brought up on charges or jailed, but Williams was not among them. Fort Bayard, New MexicoOn June 6, 1868 the company marched once again, this time to Fort Bayard, New Mexico. By this time Williams longed to be quit of the army and, on July 13, she was admitted into Fort Bayard hospital, this time diagnosed with neuralgia – a catch-all term for any acute, intermittent pain caused by a nerve.